Now CPUs turbocharge themselves, is there any point to extreme PC tweaking? Intel's Core i5 overclocks itself. Where's the fun in that? Last month Intel finally got round to releasing a CPU based on its Nehalem core for under £150. Universally applauded, it delivers exceptional performance out of the box for everything you use a desktop for. Given the right circumstances, it can intelligently increase its own clockspeed from 2.66GHz to 3.2GHz, thanks to Intel's Turbo Boost technology. It's hard to fault, but for PC enthusiasts and hardware hackers, it raises a rather existential question about the future. What's the point in spending a fortune on liquid coolers and risking BIOS death for a few extra MHz on the clockspeed any more? 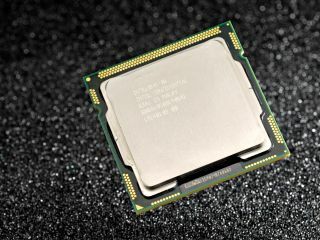 Has the Core i5 killed off overclocking for good? Necessity may not have been the mother of overclocking's invention, but it certainly helped to popularise it. Back in the dark ages of computing, about 15 years ago, there was no such thing as a CPU that supplied 'enough' processing power. Even the highest spec'd chips would occasionally struggle with running Word, and they were priced at around two years' worth of student grant or an annual mortgage payment. From some point in the mid-90s onward, people who could barely wave a screwdriver without poking an eye out began moving jumpers, breaking pins and jury rigging their motherboard sockets with everything from wires through putty to pencils in order to eke out enough power to run fancy new games like Tomb Raider without resorting to buying a PlayStation. Nowadays, only specialised apps like video encoding really require faster processors, and with Windows 7 it's easier to utilise the latent power of your graphics card to fill in the gap. Does that mean overclocking is losing its appeal? There's no reliable statistics for the number of casual PC users who overclock their CPU, but there is some evidence to back up the claim that overclocking has fallen out of favour. For example, it's a topic which barely ever comes up on the PC Gamer forums. One reader's comments seem to sum up the feelings of many: "I see no point in overclocking a CPU that can do everything I throw at it with ease." Current page: Is overclocking dead?